Striata, a specialist in secure customer communications management is once again a sponsor of the Billentis report. This year the focus is on ‘E-Invoicing/E-Billing – Key stakeholders as game changers’. According to the report, there are over 500 billion bills/invoices exchanged globally each year. This number is significantly up on last year (383 billion) but it’s more to do with improved research rather than organic growth. The number of consumer bills jumped considerably (200 to 330 billion), and the report is now incorporating an expanded amount of information on consumer electronic billing. The total proportion of electronic bills and invoices is still at a disappointing 8%, but up from 5% in previous years – this shows that there is still a lot of runway for this market. Latin America is the leader in both consumer and business electronic volume – contributing approximately 25 billion documents to the 40 billion total. The public sector is driving the greatest change in the industry. The Nordic countries lead the way, but Latam countries are now driving the change. By mandating that all invoices to the government have to be electronic, they are forcing the market to modernize and digitize. Frequently these programmes are Opt-out (recipients have to request paper) rather than the more traditional Opt-in, but more and more we are seeing mandatory change. 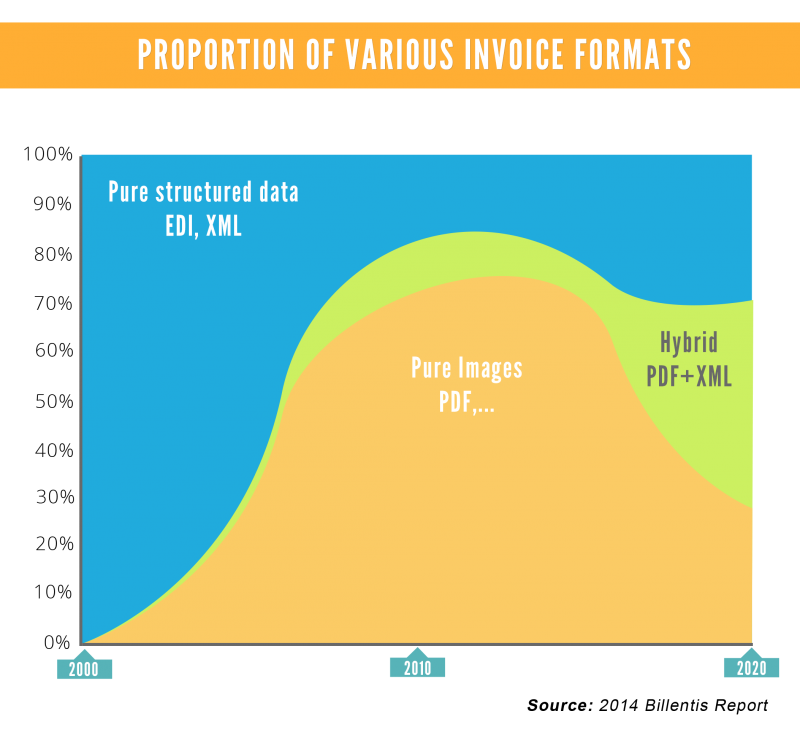 Data exchange standards are facilitating new features in popular accounting software packages that allow the distribution of electronic invoices as normal workflow from within the package. Driven by tax and regulatory reforms, Latam countries are forging ahead, mandating electronic invoicing for both business and now consumer invoicing. “This is evidenced by our own growth in Striata services in the region, which is topping 300% for the past 2 years,” says Wright. The early adopters are government and the public sector. Billentis states that as the Asian and European public sectors go the same way, this will be “game changer number one”. Billentis quotes the SME market as “game changer number two” as they are the ‘fat tail’ of suppliers to the public sector and are now being forced to provide electronic invoices. 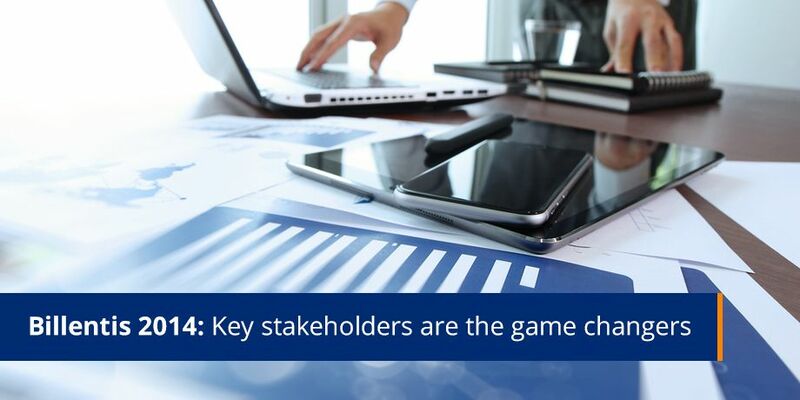 Then as solution providers step into the gap to provide software and solutions to both government and SMEs, they will become “game changer number three”.